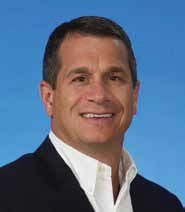 OVERTIME: Before Almo Professional A/V, Taylor served as president of Electrograph Systems and was at the forefront of the company’s sustained growth from $8 million in 1993 to $500 million in annual sales in 2007. This month, Almo Professional A/V will kick off its fourth year of traveling across the country to bring the popular E4 A/V Tour to resellers, integrators and consultants. A free, full-day program with an intense educational focus, Almo’s E4 offers attendees valuable InfoComm International CTS RUs while they network with the industry’s top manufacturers. The tour has made stops everywhere from San Francisco, CA and Dallas, TX to New York, NY and Washington, D.C., and has been attended by thousands of Almo partners around the country. SCN editors caught up with Almo Pro A/V’s executive vice president and COO Sam Taylor for some insight on what to expect during the spring 2013 tour leg, and to find out more about how this event helps its partners learn, earn, and profit. SCN: Where is the E4 Tour heading this year? One-on-one time to network with manufacturer partners and discuss projects and products is a key reason to attend an Almo E4 event.Sam Taylor: We are starting the tour in Chicago, IL on March 28 and heading to San Francisco, CA on April 25. The tour will pick up again in the fall with stops in Irvine, CA on October 18 and New Jersey on November 13. These cities were specifically selected because they are where a large concentration of our partner base resides. Our goal is to make it as convenient as possible for them to attend so they don’t have to worry about travel expenses or taking unnecessary time away from clients and projects. SCN: What is the headline news of E4 2013? ST: The core mission of our E4 events remains the same: to offer our partner community local access to free educational training so they may get the business, technical, and practical knowledge they need to keep their companies moving in the right direction. In 2013, we are reaffirming this mission and taking it a step further because for the first time, 100 percent of our educational courses are worth CTS RUs. With a keynote and classes running on three different tracks throughout the day, attendees will not only walk away from any class they choose with new information, they’ll earn professional AV credit for it. SCN: So what types of courses can we expect this spring? ST: We have an enormous amount of activity going on at E4, 11 fresh and thought-provoking courses led by the industry’s most soughtafter speakers. Topics range from “Assessing Network Readiness for AV Systems” and “Digital Signage 201 for Integrators” to “Connectivity Buzzwords Decoded” and “A Start to Finish Guide for Video Wall Success,” along with much more. SCN: How has the E4 event changed since it began in 2009? ST: Since we debuted our E4 program in New York in December 2009, its evolution has been fast and furious. Each event has grown significantly—more participating vendor partners, more courses, and more attendees. We’ve outgrown our traditional spaces and now need larger venues to accommodate the show. In fact, in October 2012, our New Jersey E4 was held at the Meadowlands Expo Center. In addition, we have a growing number of well-known industry experts like Pete Putman and Alan Brawn teaching our courses.